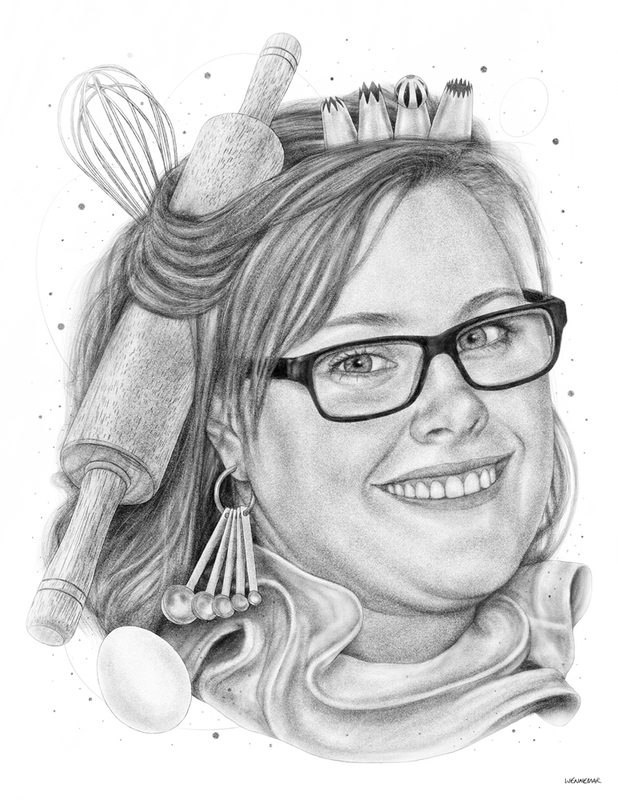 This drawing is a story of a fabulous baking queen! With elements of her craft circling around her, the creative spirit is alive! 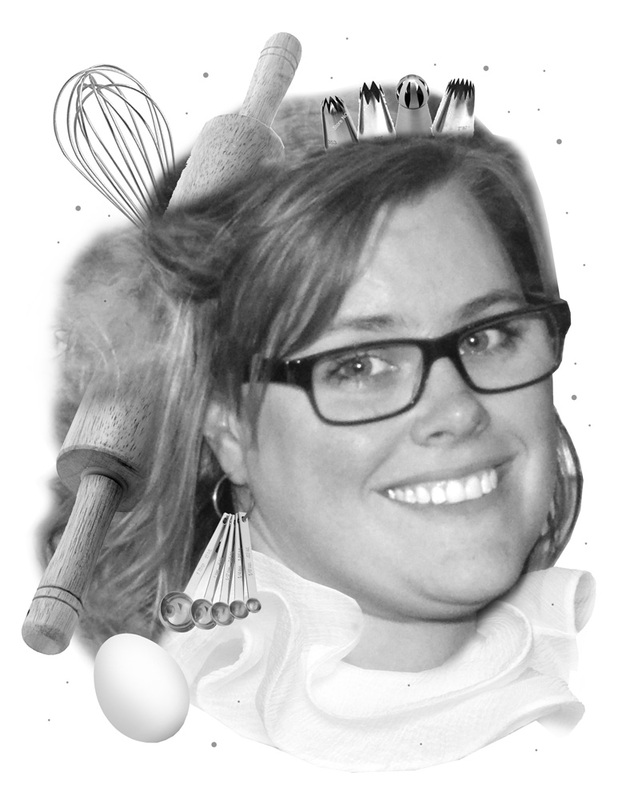 Measuring, mixing, rolling, and just making reminds the viewer that baking is work and a work of life. The rough layout for the portrait is created in Photoshop to quickly put in the facial pose and elements. The layout gives the drawing phase order without being too concerned with different lighting or detailed trimming. Through the drawing process, the pose and elements come together in a cohesively drawn style. I draw each drawing with an Apple Pencil on an iPad. The process is digital drawing, but still incorporates the technical skill of drawing on paper with the added bonus of layers, erasing, and an undo button. The original drawing is in the cloud and ready to be downloaded for printing or screen use. Here is a time-lapse video for this drawing. Personalize your home with a custom portrait drawing that tells a visual story about yourself or a loved one.